2″ Red Oak Wood Cross: Walker’s Christian Faith Pack Series #1. 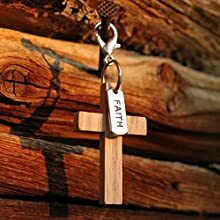 Wooden Cross Charm/Pendant/Key Chain and Three Inspirational Bible Scripture/Picture Walker’s Faith Cards for Christian Women and Men. 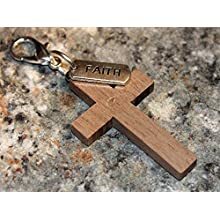 2″ Walnut Wooden Cross Charm/Pendant/Key Chain: Walker’s Christian Faith Pack Series #2 and Three Inspirational Bible Scripture/Picture Faith Cards. Wood Cross Gift Pack for Christian Women and Men. MIX & MATCH BULK LOT 6-PACK DONALD TRUMP 2016! 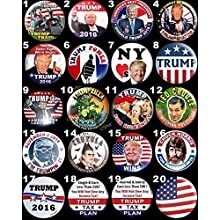 HILLARY for PRISON CAMPAIGN POLITICAL BUTTONS PINS Badges 2.25″ GOP Republican – SIX BUTTONS VARIETY PACK!